And that could be the least of it. This oil slick comes from the Sanchi’s 1,000 tons of diesel fuel, and not the 136,000 tons of Iranian ultra-light crude condensate contained within its hull. 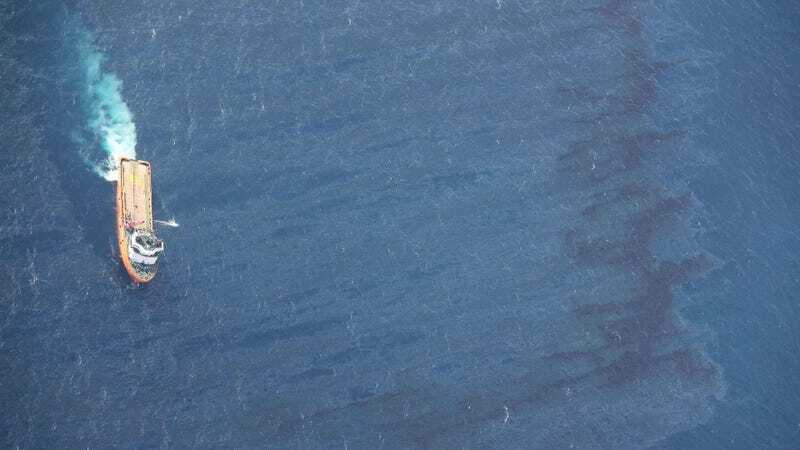 The fate of the condensate—which is colorless and odorless—is still not known, but if it leaked (or is currently leaking) from the sunken vessel, it would represent the largest tanker spill since 1991 when 260,000 tons poured the off ABT Summer near the Angolan coast.